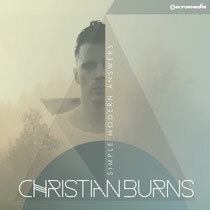 With his interesting voice and strong song-writing skills, Christian Burns comes under the spotlight as he releases his debut album, ‘Simple Modern Answers’. Known as a member of the British band BBMak, which sold close to three million albums, he is also highly regarded for his collaborations in electronic dance music with the likes of Armin van Buuren, Tiësto, Benny Benassi, Paul van Dyk and BT. With 10 years of experience as a singer/songwriter and the support of some of the scene’s most talented producers, the musician now takes the next, important step in his career. With collaborations with artists including BT, Paul Oakenfold, Marco V, Jean Claude Ades, Antillas, Paul van Dyk, Kryder, Alex M.O.R.P.H. and lots of solo records as well, the album bridges the gap between EDM and pop music. Through ‘Simple Modern Answers’, he brings 18 tracks full of diversity. Listen to the preview below.